**NON SMOKER! WELL CARED FOR! **, **BLUETOOTH HANDS-FREE CALLING! **, **LOCAL TRADE IN - NEVER A RENTAL! **, **4x4 - NEVER WORRY ABOUT THE WEATHER! 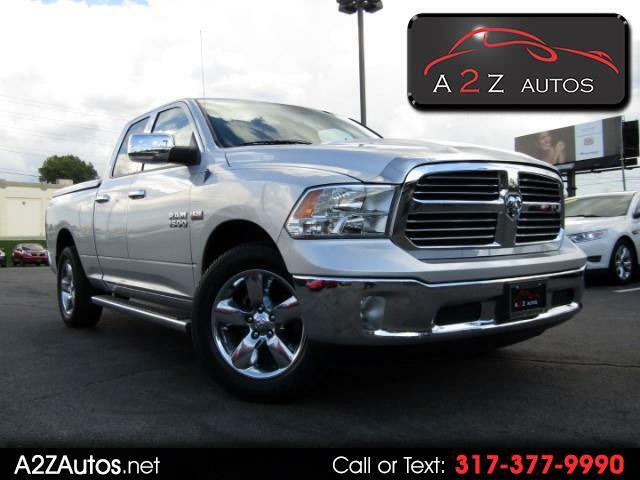 **, 1500 Big Horn, 4D Extended Cab, HEMI 5.7L V8 Multi Displacement VVT, 6-Speed Automatic, 4WD, Bright Silver Metallic, Black/Diesel Gray Interior Cloth. Clean CARFAX. Odometer is 69924 miles below market average!